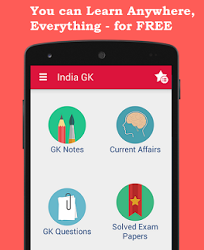 1st, 2nd February 2017 Current Affairs MCQs, Quiz, Questions: Current Affairs for February 2017, Daily Multiple Choice Questions (MCQs) for India GK, World GK and current affairs with Collection of daily objective type Question by www.Indiagk.net based on General Knowledge (GK) and General Science (GS) Questions for UPSC, State PSC, SSC, Police exam, Railway exam, SBI, Bank PO, IBPC, SSC, LDC, UDC, Army, Airforce, Navy, Coast Guard, Bank Clerk, TET and all entrance examination with current affairs News, Multiple Choice Questions (MCQs) available on Website www.IndiaGK.net and Android Apps with daily updates:. Fiscal deficit for 2017-18 pegged at ----- of GDP as per Union Budget 2017-18? Government plan to eliminate Kala-Azar and Filariasis by which year? Government recently amended which Act to facilitate establishment of JVC?